10 Years Later, I’ve Finally Perfected My (Actually Very Subtle) Makeup RoutineDone right, it shouldn’t look like makeup at all. The Best Primers for Every Skin Type, According to Makeup ArtistsOnes that strobe, smooth over large pores, and keep makeup intact. This Influencer-Beloved Concealer Brush Makes Me Look Practically AirbrushedFor the last couple months, I’ve hardly been able to go on the internet without encountering It Cosmetic’s Heavenly Luxe Complexion Brush #7. Rio Answers Her Most Frequently Asked Beauty QuestionsDoes light therapy actually work? Does she use CBD skin care? And many more questions, answered. NARS Now Has 40 Shades of FoundationWith their new Radiance Repowered collection. This New Gel Highlighter Is Basically Glass Skin in a BottleThe first time I tried this, I could not, for the life of me, stop staring at myself in my compact. The 3 Best 3-in-1 Makeup Sticks of the Million I’ve TriedThey’re convenient, yes, but they also create a cohesive makeup color story. I’ve Tried Dozens of Tinted Moisturizers for Men and These Are My FavoritesSome are for faking a tan, others for blemish coverage. Hermès Will Be Launching Skin Care and MakeupLuxury beauty products coming your way in 2020. You Can Now Buy Makeup Directly From InstagramNARS, M.A.C, and more. The Best Makeup Organizers on Amazon, According to Hyperenthusiastic ReviewersFrom tiered organizers for all of your makeup essentials to smaller risers for storing just your eyeliners or lipsticks. What We Want from Ulta Beauty’s Big Semi-Annual EventThe best daily Beauty Steals from Ulta Beauty’s 21 Days of Beauty. Your Favorite Eye Cream Now Has a FriendOle Henriksen is coming for the rest of your face. I Need Whatever Eye Shadow Lizzo Is Wearing on Allure’s CoverActually, according to makeup artist Grace Ahn, she’s wearing five of them. Nordstrom’s New Concept Shop Explores Natural BeautyThe “pop-in” lets visitors try a variety of products. The 7 Eye Shadow Palettes My Beauty-Obsessed Followers Can’t Live WithoutWho needs influencers when you know this many people obsessed with makeup? Here’s What Glossier Play Really IsYou can buy it now. Victoria Beckham Is Making Her Own Beauty ProductsThey’ll hit stores beginning in fall 2019. The Top 6 Products From My New Favorite Drugstore Makeup Brand, L.A. GirlEverything on this list combined is only $27. The 11 Products I Use to Get Glowy in the Dead of WinterThese will make you look like you just left a spa (instead of a Planet Sun). This New Tinted Salve Is Like a Blush-y Balm That Actually HydratesIt gives off the prettiest flush, and never, ever looks flaky. Marie Kondo Has an Extremely Organized Skin-Care RoutineHer makeup artist tells us all about her favorite beauty products. Glossier Finally Increased Its Foundation Shade RangeThey will now have 12 shades. 12 Eyeliners Your Uptight, Easily Offended Waterline Won’t MindSmooth, stay-put liners to get back on your eyes’ good side. Is Kylie Jenner Trying to Send a Secret Message to Taylor Swift?Through her lip products??? 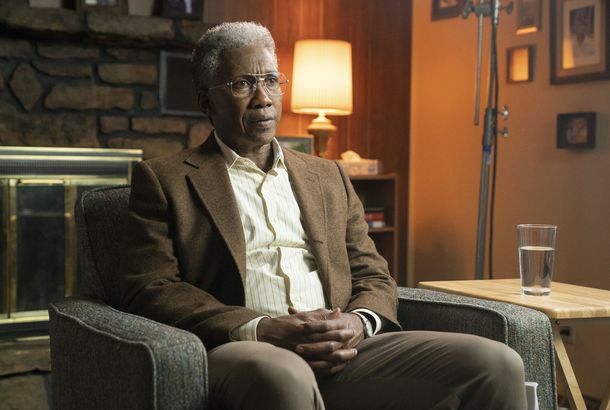 True Detective’s Old-Man Makeup Was Inspired by The Nutty Professor and AmadeusThe makeup artist behind True Detective season three reveals the secrets of a special-effects feat. Rio Stops By: Jackie Johnson of the Natch Beaut PodcastTalking with the natural beauty guru about cruelty-free products and the power of Tatcha and Dr. Sturm. Why Is Every Beauty Product a Stick Now?No more squeezing, only swiping. How Michelle Yeoh Looks So GoodA sheet mask a day and a lot of hydrating skin care. Rihanna’s New Concealer Comes in 50 ShadesPlus, ten more foundation shades. This Potato Can Teach You MakeupShe’s beauty and she’s grace, she’s a viral makeup tutorial starring a potato. Gift of the Day: A Sheer Tinted BalmGood on lips and cheeks, great inside a stocking. Naomi Campbell Lands Her First Major Beauty CampaignThe legendary supermodel is finally the new face of NARS.